Monthelie village ! The domaine has the same name as its home village for a simple reason : Mr. Monthelie founded the field there more than 300 years ago. 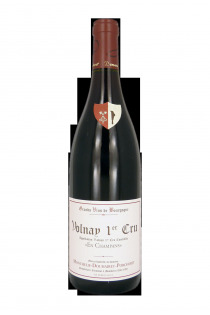 The domaine is now managed by Cataldina Lippo and her grand father André Porcheret, who is well known in the burgundy wine word thanks to his former work as a steward that he occupied for the domaine des Hospices de Beaune. The domaine extends now on 6 hectars, mainly on the Côte de Beaune in the appellations Pommard, Volnay, Monthelie and Meursault. The vines are trained using conventional farming practices and grapes harvested by hand. The wines are aged in an old cellar with more than 300 years. With durations relatively long: between 20 and 22 months for red and 18 and 20 months for whites, the winery produces great wines.